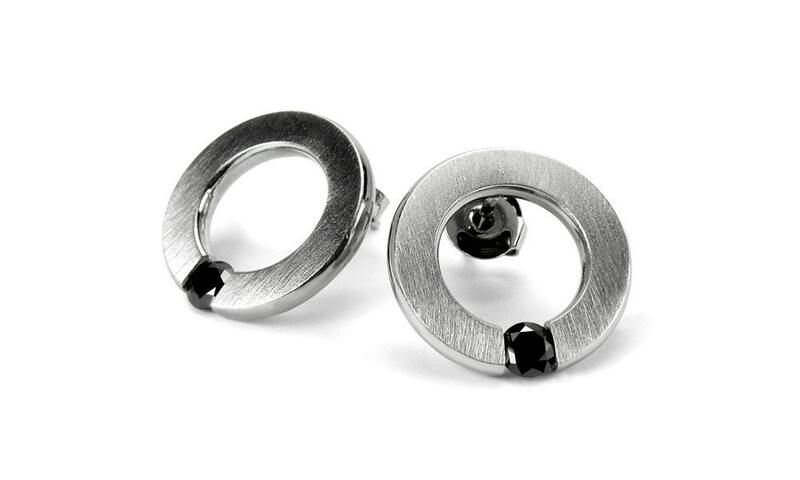 Brushed Stainless Steel Stud Circle Earrings with Tension Set Black Diamonds. Diameter of earrings: 17mm - 11/16"
Black Diamond, gemological known as Carbonado, is a natural polycrystalline diamond found in alluvial deposits in Brazil. Its natural colour is black or dark grey, and it is more porous than other diamonds. Black Diamonds are opaque having a specific gravity of 3.1 - 3.3. They are virtually without cleavages. 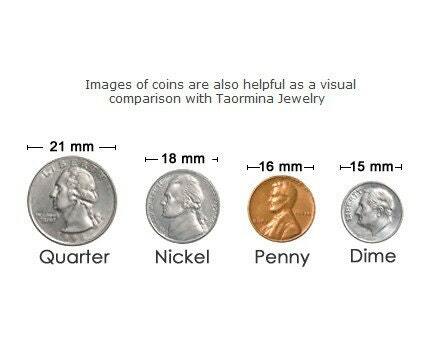 Just like color less diamonds, they are of great hardness that amounts to 10 in the Mohs's scale of hardness. They are full of criss-crossing scratch marks containing black deposits of Sulfides which are responsible for their opaque texture. The major source of this black variety of diamond is Brazil. Naturally they occur in irregular and rounded carbonado fragments. In their crudest form, their physical properties vary from compact to porous. Among them, some crystals are denser having the lesser intensity of flaws. These crystals are rare and produce higher quality black diamonds after a good amount of polishing. However, as a general rule, black diamonds come with a heavily flawed surface and a uniform presence of black is not something very common. Most part of the black diamond is actually covered by grey and dark grey elements. So far as the black diamonds are concerned, cut is of utmost importance, because the final look of the stone depends on the fashion of the cut of this stone. Black diamonds are often pitted and pose great difficulties in cutting. But once given a reasonable cutting, they become quite unparallel in beauty and elegance.